Do You Remember... "Cimarron Strip"
“Cimarron Strip” was the third—and final—TV western series to employ an in color 90 min. (with commercials) running time. 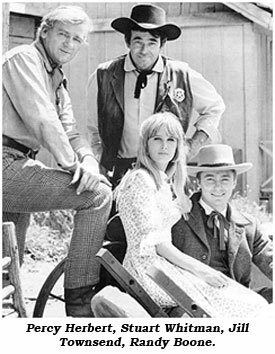 The long running “Virginian” which began on NBC Sept. 19, 1962, and ran for eight seasons (nine when you include the revamped “Men From Shiloh”) was the only series successful with the longer format. “Wagon Train” tried a 90 min. format in color for its 7th season (‘63-‘64) but reverted back to 60 min. b/w for its final eighth season. 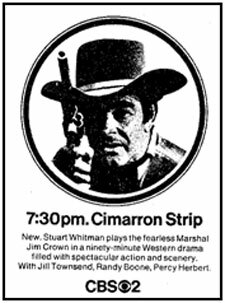 “Cimarron Strip”, developed by Christopher Knopf and starring Stuart Whitman, began on September 7, 1967, as CBS’ attempt at duplicating NBC’s success with “The Virginian”. It was a good show, full of action (stunt coordinated by Al Wyatt), beautiful scenery (often lensed in Las Cruces, NM, Sedona and Flagstaff, AZ, and Lone Pine, CA) with top name guest stars such as John Saxon, Darren McGavin, Warren Oates, David Carradine, Richard Boone, Robert Duvall, Joseph Cotten, Leslie Nielsen, James Stacy, Tuesday Weld, Steve Forrest, Mariette Hartley, Broderick Crawford, and others, as well as noted western TV regulars like Morgan Woodward, Gregg Palmer, Rex Holman, John Anderson, Bob Wilke, Gene Evans, Rayford Barnes, Jim Davis, L. Q. Jones, Royal Dano, Denver Pyle, Tom Reese, Harry Carey Jr., Dub Taylor, Slim Pickens and more. Although Marshal Crown had no full-time deputies to aid him in keeping law and order in this wild territory, he often relied on the assistance of itinerant Scotsman MacGregor (Englishman Percy Herbert), young novice photographer Francis Wilde (Randy Boone) and eastern-girl-come-west Dulcey Coopersmith (Jill Townsend) who ran The Wayfarer’s Inn, left to her by her late father. Whitman, 41 when he came to the series with a lucrative one-third partnership, had high hopes for “Cimarron Strip”. The son of a realtor, Whitman was born February 1, 1926, in San Francisco. After service with the Army Corps of Engineers where he won 32 fights as a light heavyweight boxer, he attended L.A. City College where his interest in acting emerged, eventually studying with Michael Chekhov and Ben Bard. Whitman made his screen debut in ‘51 (“When Worlds Collide” as an extra) and soon gained small roles on “Range Rider”, “Roy Rogers”, Gene Autry’s “Barbed Wire”, “King of the Carnival” serial (Republic’s last), “Highway Patrol”, “Stories of the Century”, among others. Earning an Academy Award nomination for his role of a child molester in “The Mark” (‘51), more important roles began to come his way with “The Longest Day”, “The Comancheros” and “Rio Conchos” among others. Born in London, England, in 1917, director Philip Leacock began his career there before coming to the U.S. to direct episodes of “Route 66”, “Alfred Hitchcock” and others (even a couple of episodes of “Rawhide”) before being hired as an executive producer on “Gunsmoke” to replace the departing Norm Macdonnell midway through the 10th season. Leacock left at the end of the 12th season (‘67) to produce the James Stewart feature “Firecreek”. 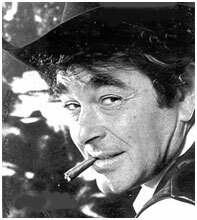 During his “Gunsmoke” tenure at CBS he also produced several episodes of “Wild Wild West”. Upon his departure from “Gunsmoke”, Leacock was immediately signed on as executive producer for “Cimarron Strip”. Whitman and Leacock’s high expectations for “Cimarron Strip” were not fulfilled as the series was consistently bested in the ratings by “Batman”, “The Flying Nun” and “Bewitched” on ABC and “Daniel Boone” and “Ironsides” on NBC. After one season, on Thursday nights from 7:30-9pm (EST) and 23 episodes (9/7/67-3/7/68) with reruns through September ‘68, the show was canceled. It re-emerged as a Tuesday evening summer replacement from July-September ‘71. Whitman went on to work in hundreds of TV episodes and movies while, as a shrewd investor, he amassed a substantial fortune estimated in ‘98 at around $100 million. Producer Philip Leacock died of collapsed lungs July 14, 1990, in London. Percy Herbert appeared in hundreds of movies and TV shows, many of them English, and died in England at 72 on December 6, 1992. Jill Townsend (born January 25, 1945, in Santa Monica, CA) began acting in ‘66. By ‘71 she’d moved to England where she continued to perform until the early ‘80s. Born January 17, 1942, in Fayetteville, NC, young singer Randy Boone joined the cast of “The Virginian” in the second season and stayed on through the 4th season when he moved over to “Cimarron Strip”. His career was sporadic after that, with only a few appearances in the ‘70s and ‘80s. Retaining an ownership of the series, Whitman’s Stardance Entertainment issued the episodes on VHS in ‘94, and now DVD, and syndicated the series to the Westerns Channel for awhile.